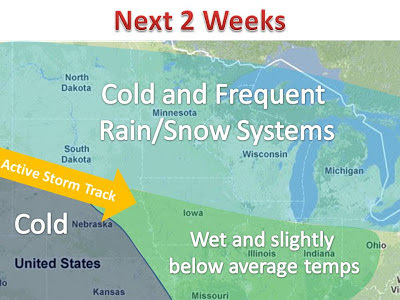 Midwest Winter Weather Blog: Where is Spring? Where is Spring seems to be a common question these days. Well, nothing in the computer models would hint to any sign of spring. We can only go on climatology at this point. 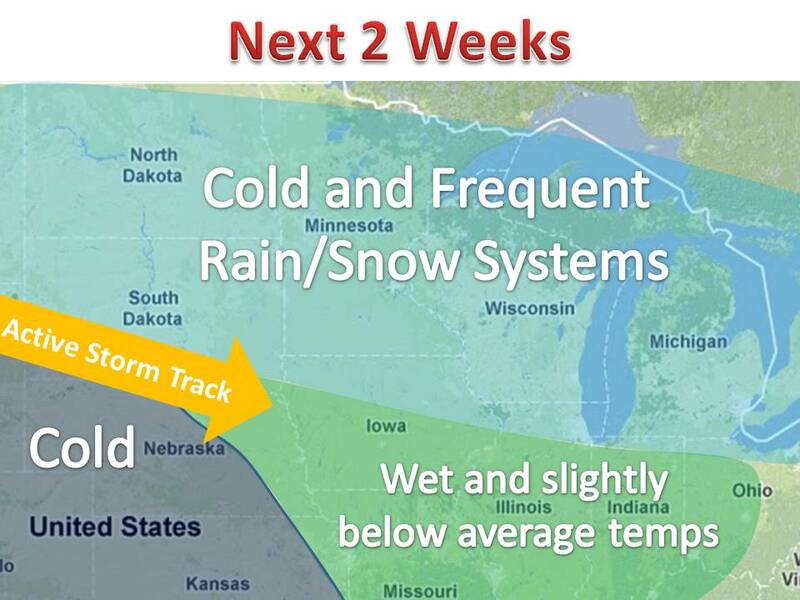 The next two weeks look to be snowy and wet for the whole Midwest. A widespread area of 5-15 degrees below normal will fill in starting tomorrow. One computer model puts out 10-25" of snow for areas north of a line from Chicago to Rapid City. Much of this could come from a large winter storm early next week for much of the area in light blue. Updates coming. Winter has its grip in the Midwest this year.